Food lovers and people who enjoy Belgium in August will already be aware of Antwerp’s Culinary Festival, this annual event is returning for the fifth time this year, at the small cost of €1 per food ticket you can get full access to this four day food extravaganza. From the Thursday 18th to Sunday 21st this August you’ll be able to spend your days and nights sampling professionally made local and international dishes cooked up by well-seasoned chefs. You’ll also have the chance to check out the young talent as the next generation of master chefs display their craft and give you the chance to sample tantalizing gourmet dishes. The opening of the Culinary Festival is at 6PM on Thursday, it runs right through to midnight so you can have an excellent evening meal and wander amongst the stalls, if you have work the next day you may want to call it in early. Don’t worry the festival lengthens from 4-12 the next day and over the weekend it lasts from midday to midnight, so make an excellent day of it and try some new foods or old favourites for lunch, a mid afternoon snack and dinner. The Belgian Gastronomy battle is a cook off between chefs that will masterfully show you how to prepare exquisite food in a hurry, a great opportunity to pick up some gourmet tips and there will also be a discussion of some of the meals available at Antwerp’s Culinary Festival. For full details check out the website but it is easily discoverable by bus, tram or riverside walk. The Great Market Square will play host to 25 of the best chefs from some of the finest restaurants in Europe, they will provide international dishes and a local presence will be serving proffering some of the dishes Belgium is famous for. 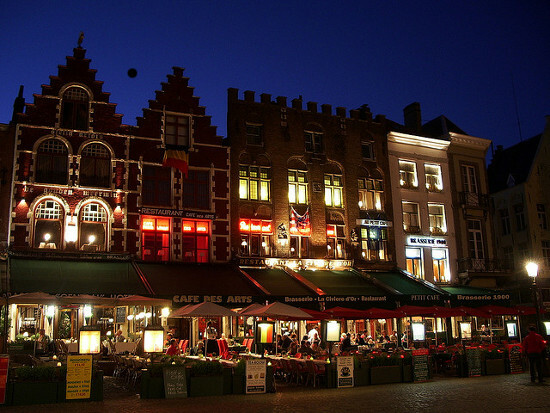 The British expat population in Belgium makes it a more readily accessible event for English attendees, so ask about and get some tips, and don’t forget this is Belgium ladies and gentlemen so yes, there will be chocolate, waffles and beer aplenty. To get to all the culinary delights of Antwerps food fest this August take a P&O Ferry from Hull to Zeebrugge and then your well on your way to all the fun and food that this event has to offer.